Our Tutors & Founder / Director - Perform For Life: Who are we? What do we offer and why are we different? Perform For Life tutors are qualified and experienced within their specialist areas of Performing Arts – be it Singing / Music, Drama / Communication or Dance / Movement. They are all fully DBS checked. Our tutors are also patient and encouraging. We get to know students’ aims, preferences and strengths, and work to build a strong rapport with them. We have a 100% pass rate when it comes to preparing students for a LAMDA or Trinity exam, with the majority gaining a High Merit or Distinction. We believe this to be down to our knowledge of the syllabuses we offer, and the time we take to get to know our students. Katrina trained at The Arts Educational Schools, London, full- time from the age of 13, before continuing her Musical Theatre studies at The BRIT School. She then gained her BMus at Goldsmiths, University of London, and MMus at the University of Southampton, with Voice as her first instrument in both degrees. As well as her ten years in private / class Vocal Tuition, Youth Theatre Direction and Theatre School management, Katrina has also worked as a freelance musician. She has performed as an original artist internationally and in the south of England, including at the Montreux Jazz Festival, The Jazz Cafe London and Queen Elizabeth Hall, Southbank. As Founder & Director of Perform For Life, Katrina considers the ongoing development and maintaining of her teaching standards and methods paramount. She frequently attends Singing and Arts teaching courses and conferences, and has completed teacher training courses with LAMDA, BAST and Estill Voice Training (with Anne-Marie Speed, Certified Course Instructor), including the Complete 5-day course in the Estill model. 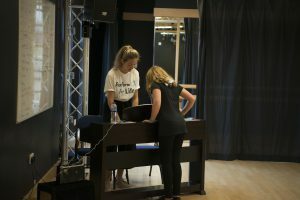 In addition, Katrina is experienced in preparing pupils for Singing, Musical Theatre / Performing Arts exams (100% pass rate, 92% Distinction or Merit) with LAMDA and Trinity College London. Katrina is committed to guiding children and young people in the development of their creative potential, self-confidence and life skills. She draws from her passion, extensive training and performance experience to provide a comprehensive, encouraging and invigorating Performing Arts experience for her students. 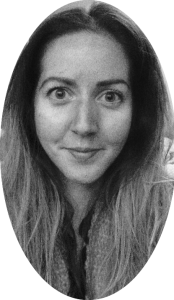 Katrina is also fully DBS-checked, First Aid qualified (Schools First Aid with St John Ambulance), and has completed a number of Child Protection / Safeguarding courses for Peripatetic and Arts teachers. Have a look at our Our Belief & Approach page for more information about our classes. Testimonials: “My daughter LOVES her one-to-one lessons, and comes back enthused with the variety of new pieces she gets to work on. Sometimes school can be a bit taxing, especially with internal exams, and Katrina’s lessons are such a good motivator and keep her going. Thank you!” (Parent of pupil at King Edward VI School, Southampton).